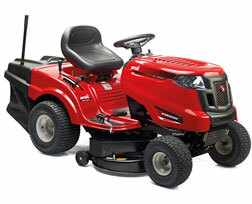 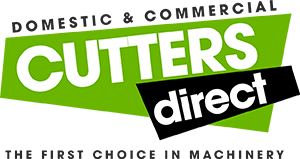 A compact and easy to use side discharge lawn tractor which complies to the needs of all types of users. 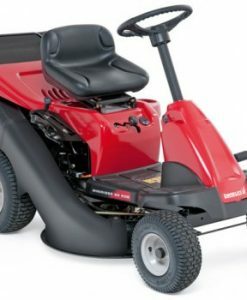 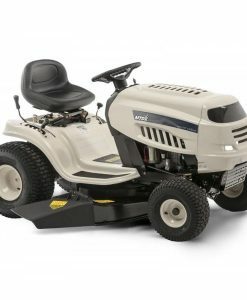 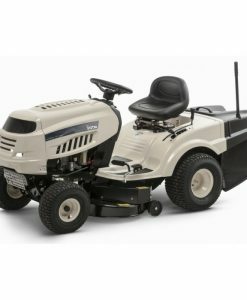 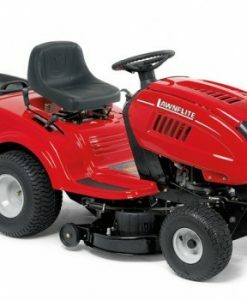 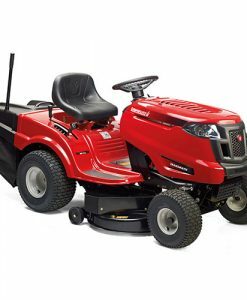 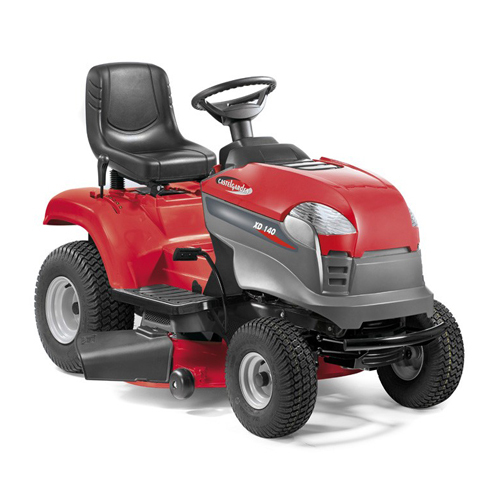 Powered by a powerful Briggs and Stratton PB series 3130 AVS 344cc engine and boasting a substantial 98cm/38″ cutting width this machine will make light work of tending to your gardens. 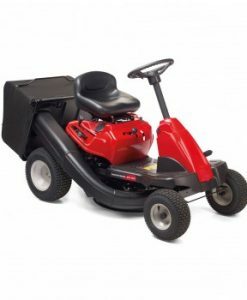 This Castelgarden ride on tractor is really versatile, it is capable of both side discharging and mulching your grass clippings and is able to cover a large area quickly, having no need to stop to empty a grass collector. 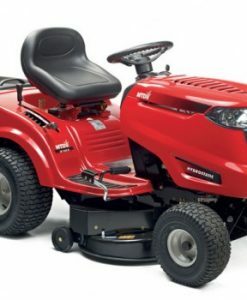 The transmission is geared. 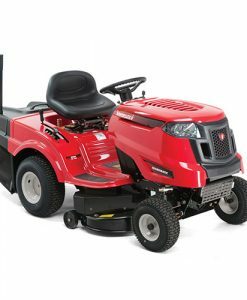 The deck features 2 anti-scalp wheels which not only enables the tractor to adapt to uneven ground but also prevents any damage to the surface of the grass, making this machine suitable for both smart lawns and orchards/paddocks. 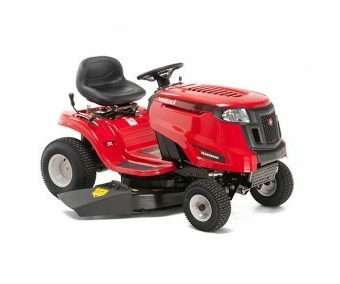 It also has a narrow turning circle which enables you to easily mow around bushes and flowerbeds in your garden. 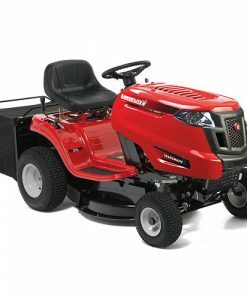 A tow hitch is integral and a range of optional accessories are available including dump carts, tow spreaders and lawn sweepers to ensure you get the most out of your Castelgarden lawn tractor all year round.